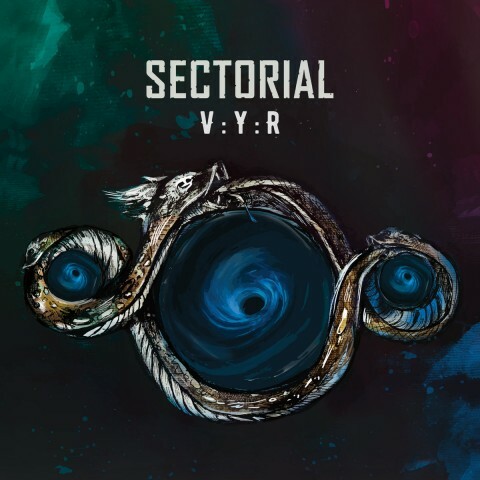 Noizr Productions is pleased to announce the third full-length album, "VYR", of the Ukrainian metal band Sectorial. Above, check out the trailer of the upcoming LP. This album represents band's advancement in both musicianship and sound. 12 tracks, with a total length more than an hour, contain diversity from intense blast-beats to acoustic compositions, all flavored with ethnic instruments of different kinds (drymba/munnharpe, jouhikko, bukkehorn, flutes, duda, trembita). The album was recorded with the aim to capture band's vision and sound, developed on own rehearsal studio and live performances over the years. Every instrument, every bit of music has its own story, room, and breath. "Capricious and unpredictable streams of life, violent waves and the hypnotic blue of the the universe’s depths... an element that can withstand anything that will happen on the way... a bottomless stellar sky, reflected on a calm mirrored surface that in an instant turns into an incredible dance of the wind and drops, and spins in a gigantic powerful VYR..."
The next performance of Sectorial will take place on April 13, 2019 at Metal East: Nove Kolo. Warm Up Show in Kyiv, Ukraine, together with Asphyx, Impaled Nazarene, Burshtyn, and Mutanter. Music and lyrics by Sectorial.